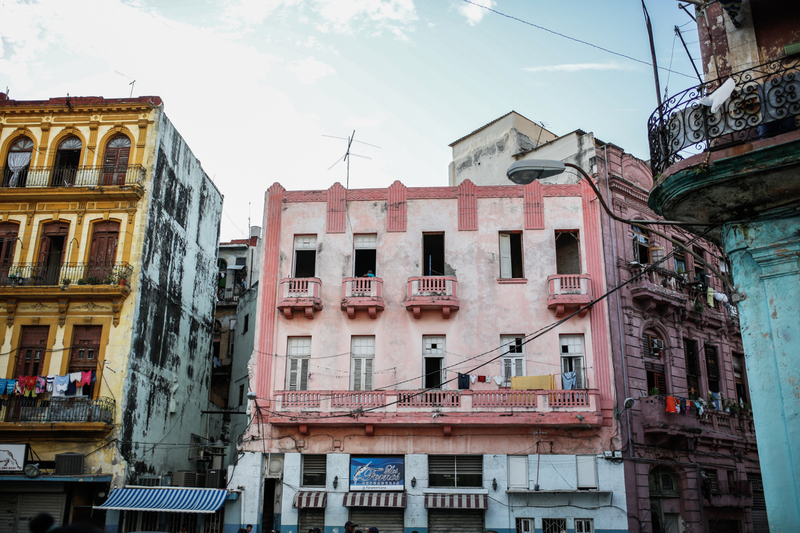 Whereas most of my recent trips were part of a project or a shooting, I traveled to Cuba to explore a totally new place with KLM. I loved this project as I’m quite picky when it comes to service and KLM has always been one of these airlines which always make me feel fully comfortable (Maybe because they are Dutch – Dutch people are probably the nicest people in the world :)). Even though I’m traveling a lot, I often feel like I’m staying in my comfort zone. 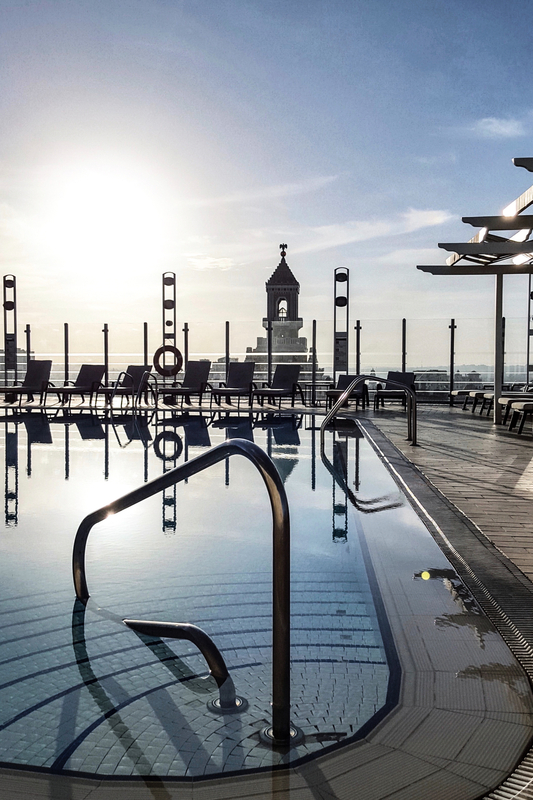 When I selected one of the KLM dream deals, I decided to go to a place I have always been curious about. 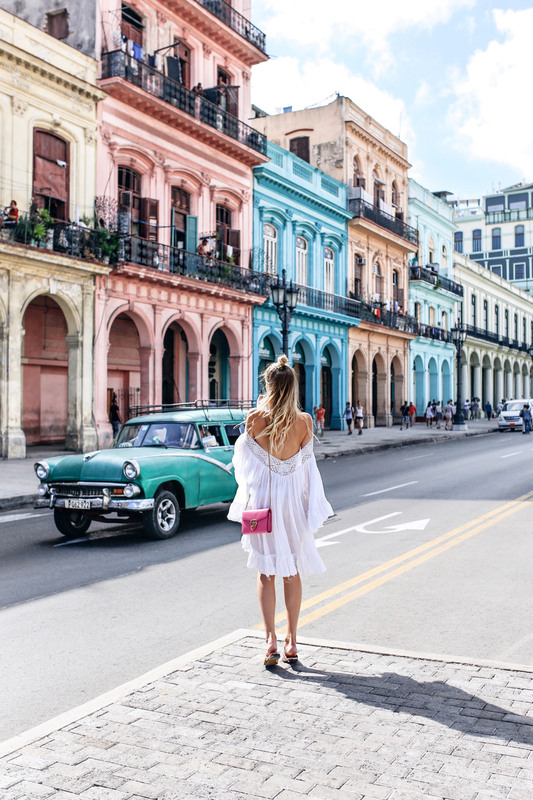 Cuba was clearly different to every place I’ve ever been to and compared to most of my recent destinations, I really felt the explorer spirit. 😉 You can find your own KLM dream deal: here. The sales period is until 14th of September. TOURIST CARD: The most important thing is to plan early as you need a tourist card! I had a little help from KLM which was super helpful! 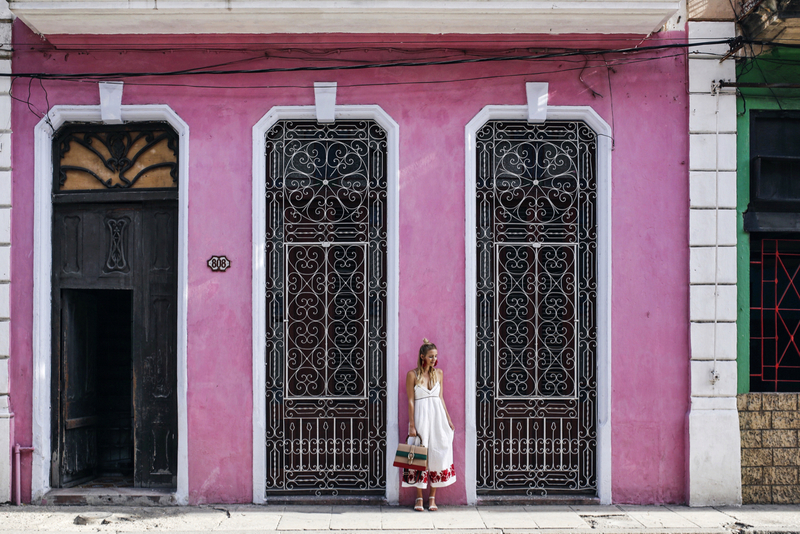 Cuba is a special place and when planning a trip, it makes sense to plan a bit ahead. CURRENCY: Cuba has a two currencies system. There is one currency for the locals and one for tourists which is called CUC. There are not many cash points in Cuba and sometimes they are empty. Therefore, we decided to queue up for quite some time at the airport to have some cash from minute one. 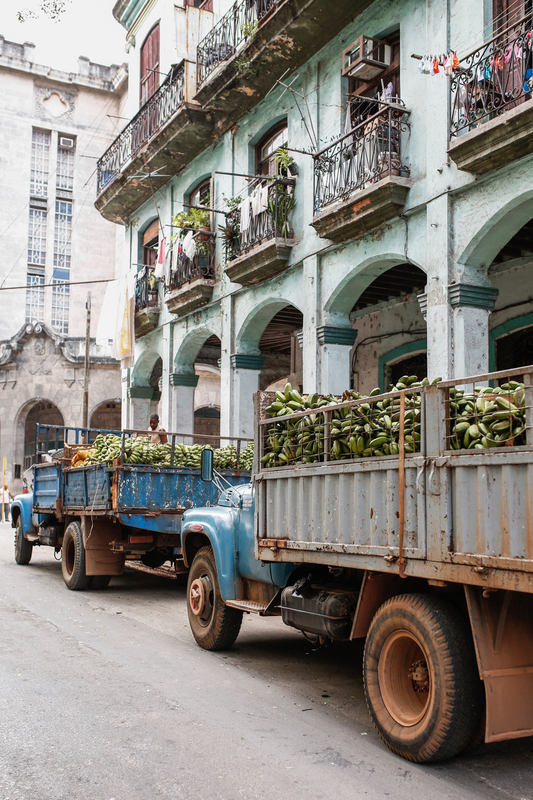 While you normally won’t carry too much cash and rely on your credit card, in Cuba it’s the other way around. We got enough cash to be covered for the most important things, which ended up to be a good idea. 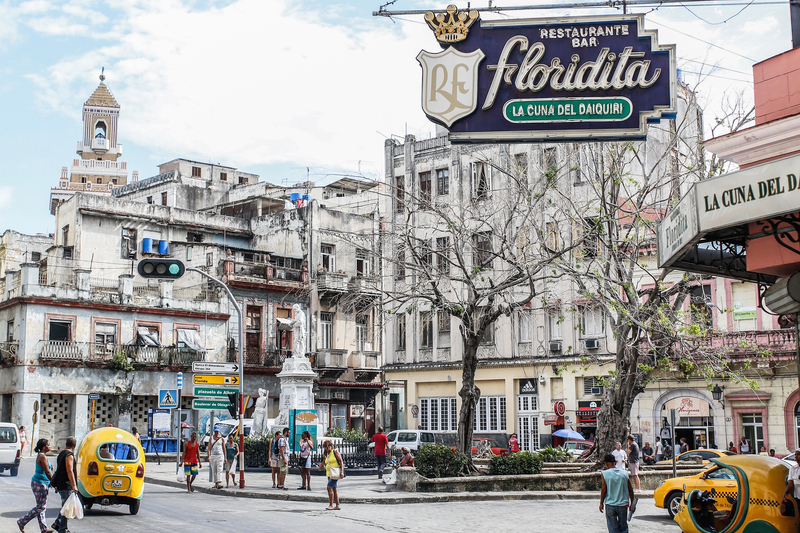 INTERNET: Well, you’ve probably realized that I had internet access during my stay in Cuba. Still, I have to admit that it has never been that tricky to find an internet connection. There is one provider which is available at some hotels and the airport and you can buy access tickets. We paid 2 CUC for 1 hour and as I wanted to share my experiences with you, I ended up buying loooooads of access cards. 😉 Still, I wasn’t able to use snapchat during my trip to Cuba. 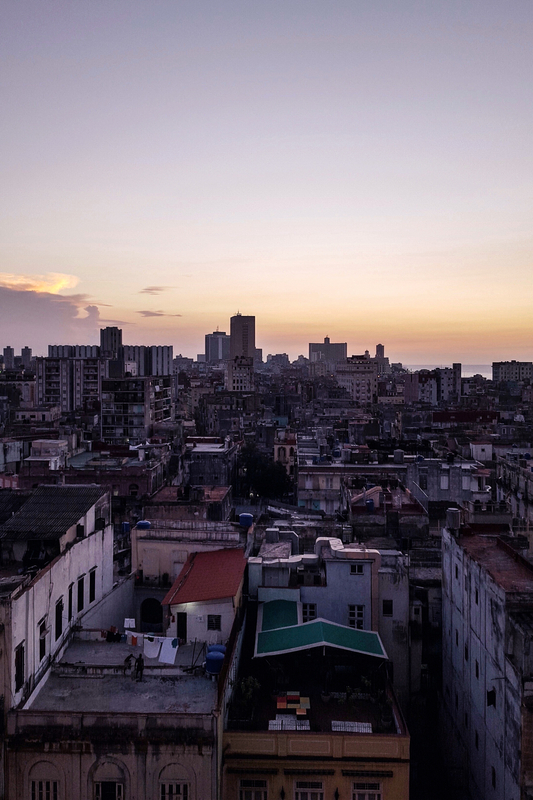 Even though I bought internet access cards every day, snapchat is simply not working in Cuba. LANGUAGE: Shame on me: I can only say a few words in Spanish. You will have way more fun if you speak Spanish or at least carry a translator. Sometimes it was quite frustrating because you will meet only few people who will speak English. 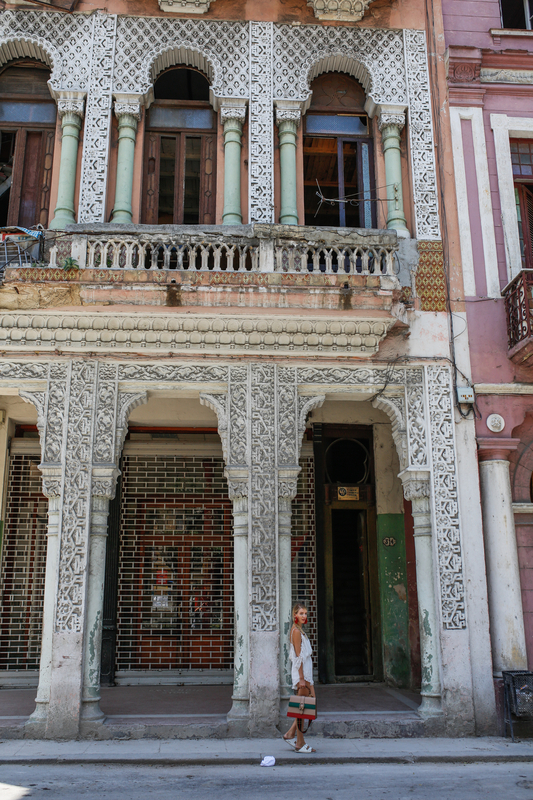 BE PATIENT & FLEXIBLE: Cuba was clearly one of the unorganized places I’ve ever been to. We waited hours for our luggage and in front of the cashier machine. Also because no one was paying attention to waiting properly in line etc. and people were pushing in and out, it was tricky to adjust to that without feeling rude. 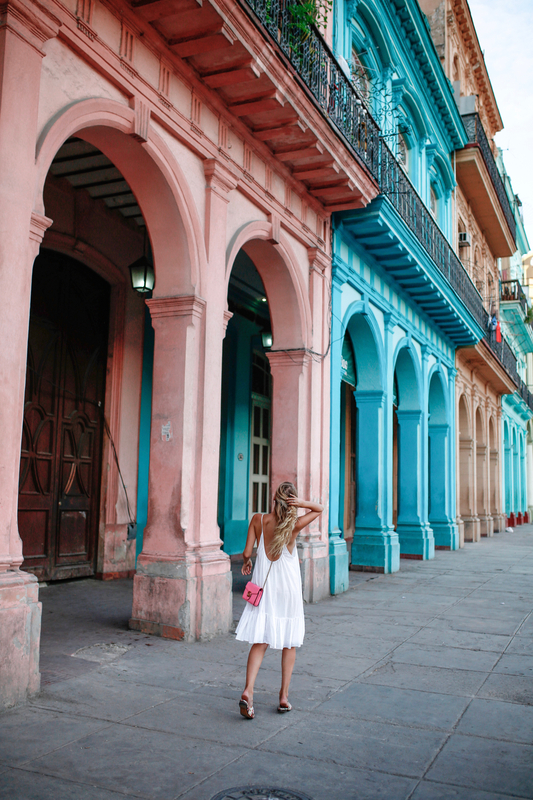 When going to Cuba, make sure to stay patient and just go with the flow (even if it’s a slow one ;)). 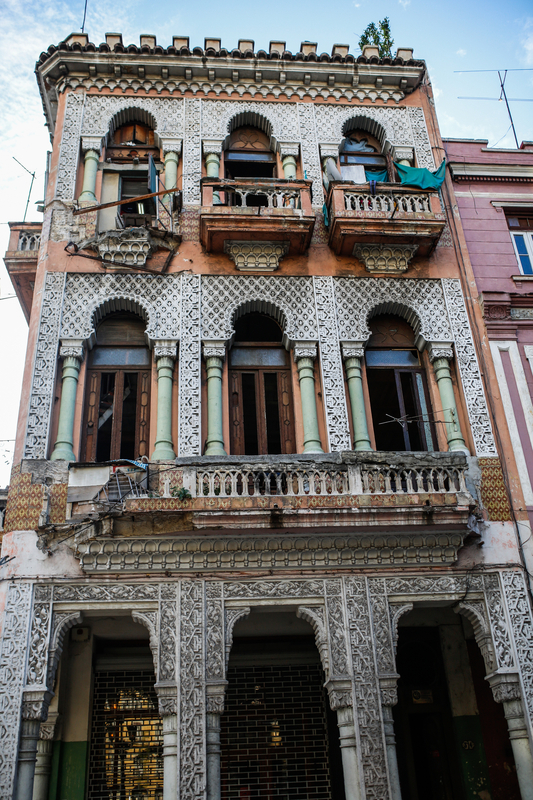 I was staying in Havana central, closely to my favorite part of Havana: Havana old town. I can not really recommend our hotel. I had only limited time to plan the trip and, therefore, I fully relied on hotel ratings without reading traveler websites. 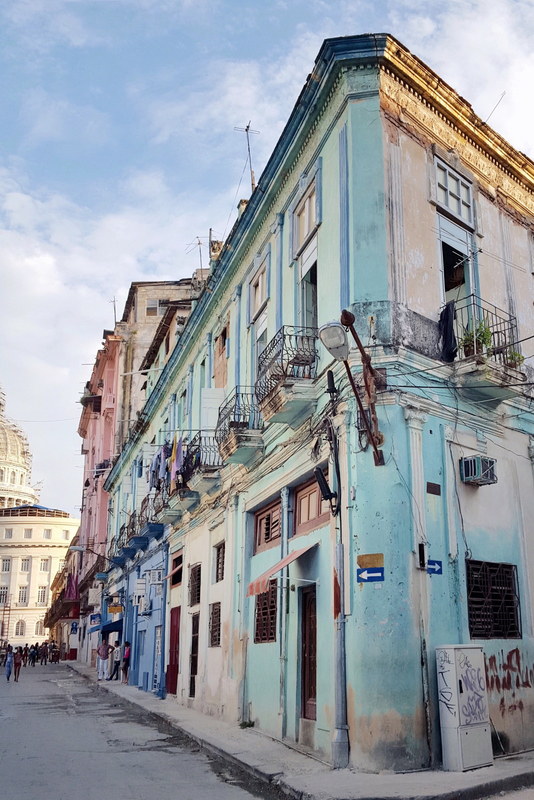 During our time in Havana I heard so many good things about privately owned accommodations and when planning your trip, I’d rather check for a cool, friendly private place instead of an governmental owned hotel. I guess you will feel more of the Cuban sprit. 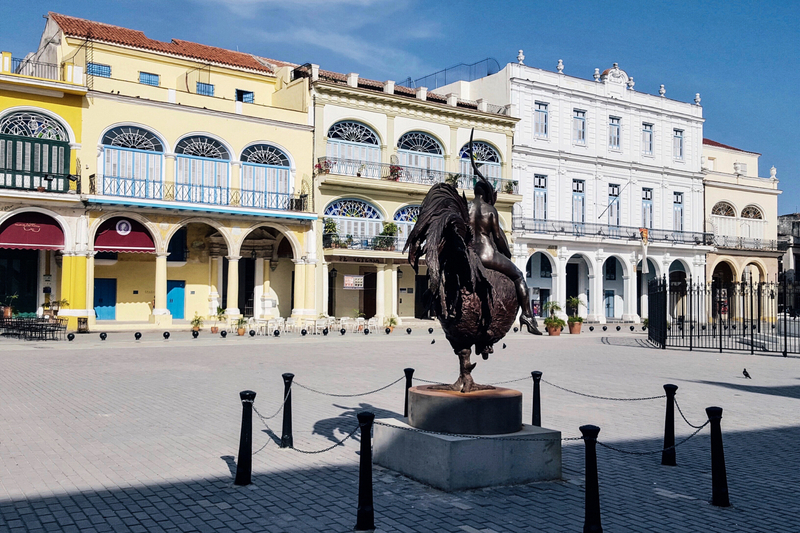 Despite that, living near Havana old town was the best idea. Ever since I’ve started the blog, photography became my major fascination. I love wandering through a new place with eyes wide open, sensing every detail. 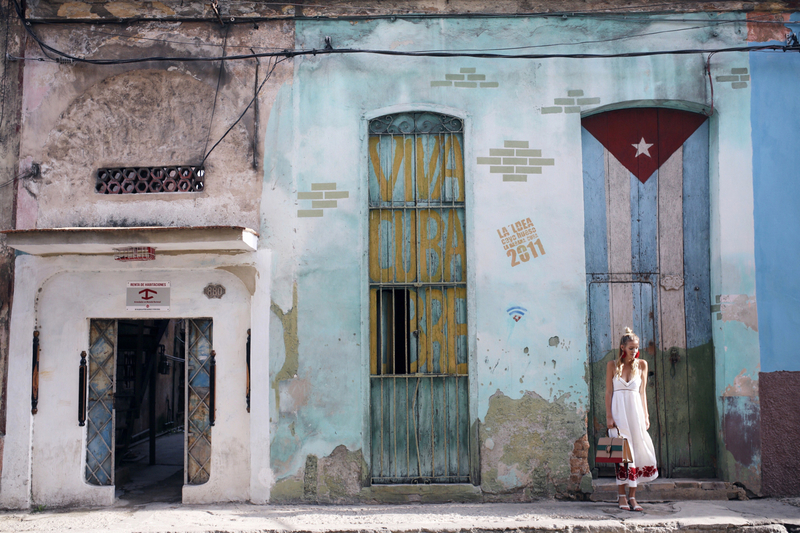 Havana old town was truly a photographers’ paradise. 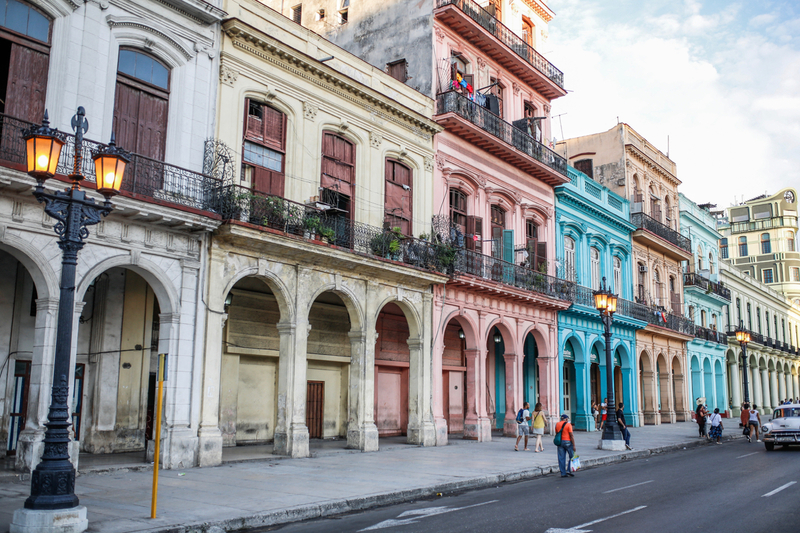 Every house was different, colorful and you could spend days just walking along the side streets of famous Plaza Vieja. 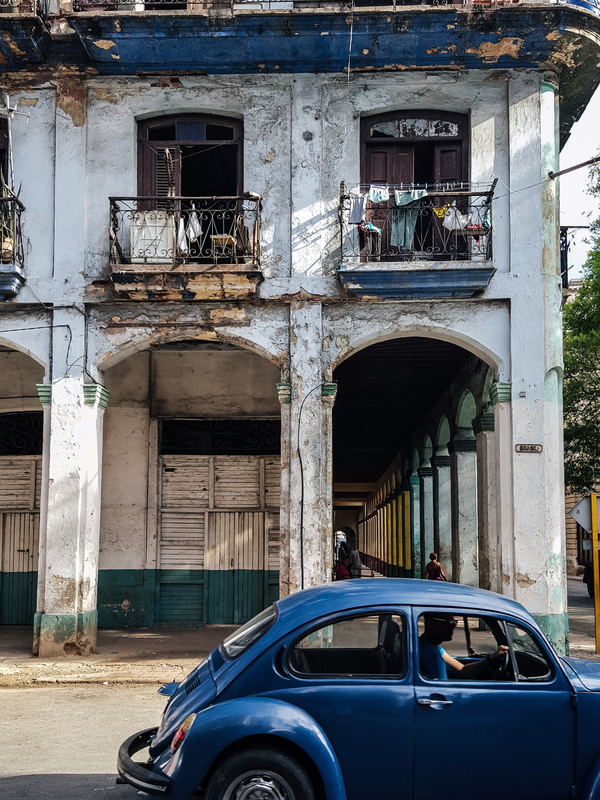 Arriving in Cuba felt like going back in time. When the first old timer passed by our taxi I couldn’t stop smiling. 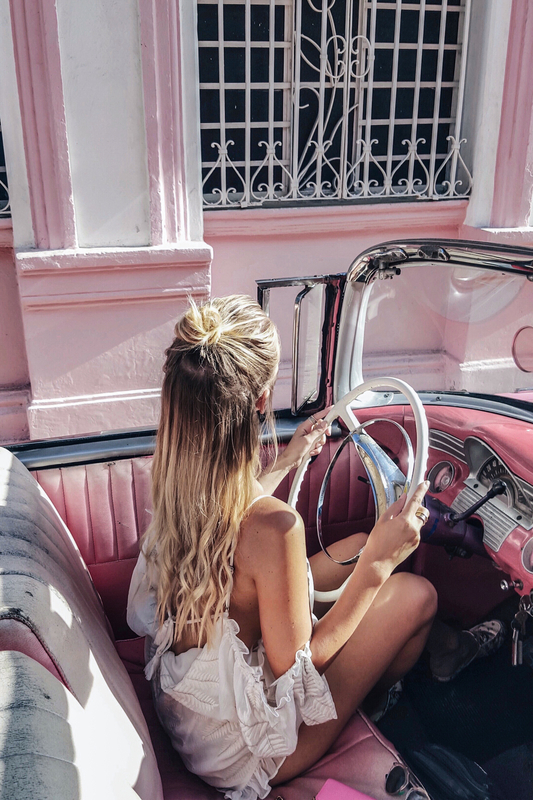 Even though I rather played Playmobile than Barbie doll, it was so much fun taking a (pink) vintage car for a trip around the city. You pay 30 CUC (a little less than 30€) for an hour of driving around the city. As I don’t speak Spanish (shame on me!) we asked at our hotel for a little assistance. 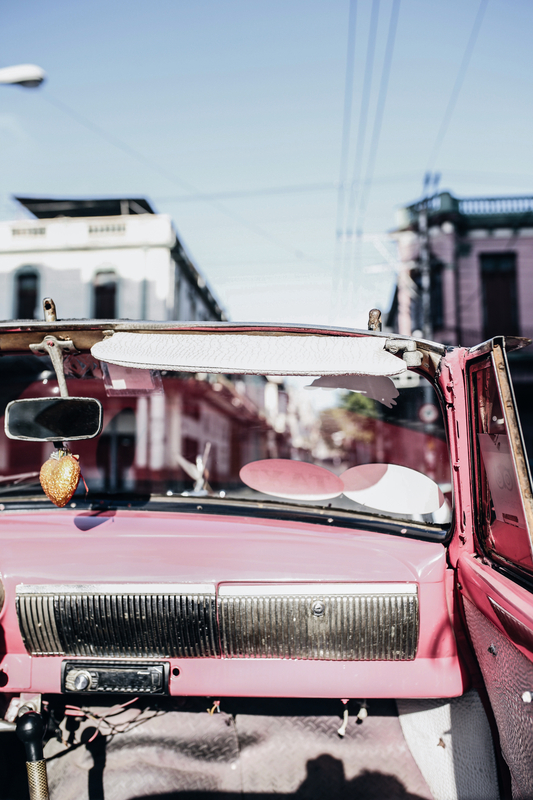 I loved exploring in a vintage car and we ended up even taking little trips in an old pink car. 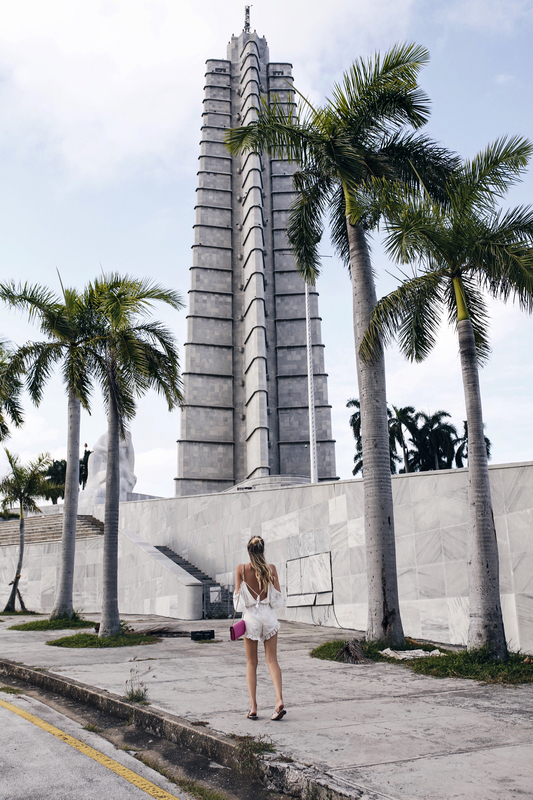 One day we did a little road trip to Playa de Este which is a Caribbean beach only 25 minutes away from Havana. 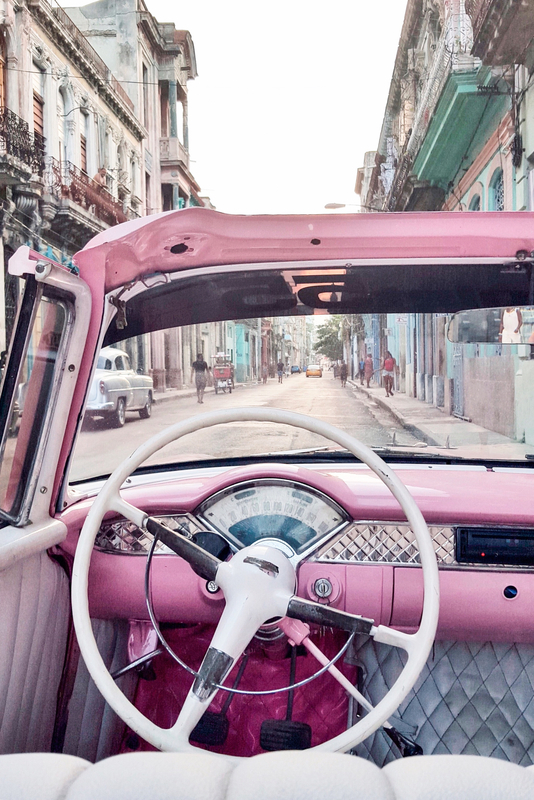 When the driver was playing old Cuban music, it was perfection. This is not an official must, but for me La Guarida was my happy place. The restaurant was close to Neptuno street (one of my favorite spots), based in an old building. The walls had Fidel Castro drawings and writings and everything looked vintage. There were some different floors you can reach while taking cute old spiral staircases. 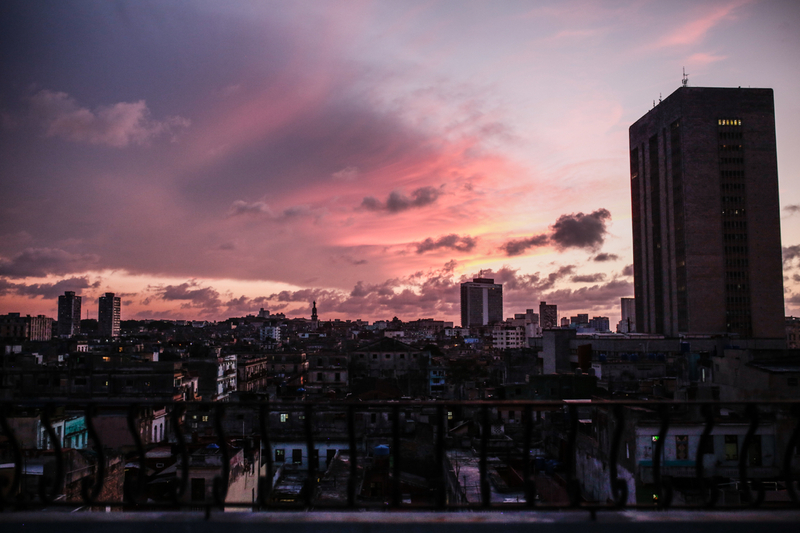 Going to the top you will find a rooftop with a stunning view on imperfectly perfect Havana. 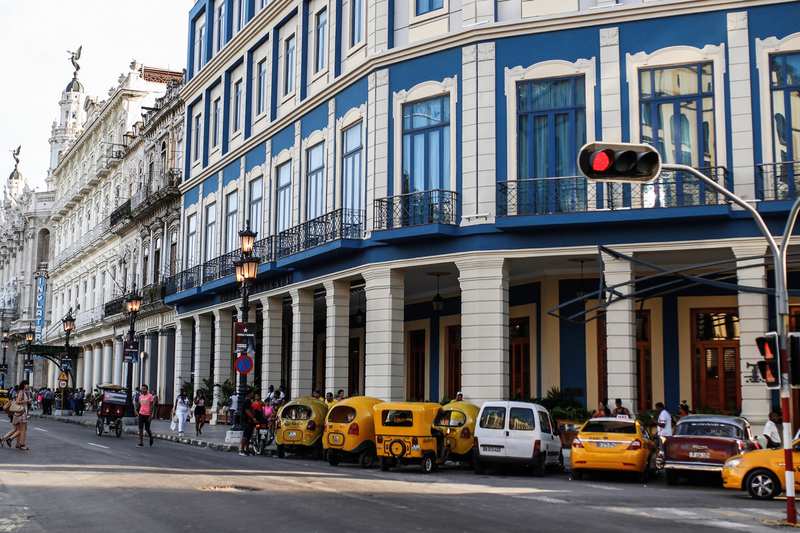 Underneath you will find a cool bar with nice views and on the lower floors you will find La Guarida. You have to make a reservation and insist on sitting outside. 😉 For me as a picky vegetarian, La Guarida was heaven on earth. They had the yummiest salad, avocado cream and the best three chocolate desert. We came here several time, to enjoy the views, take pictures of the sunset and enjoy a super tasty dinner. 2) Museo del Chocolat: For true chocolate lovers, Museo del Chocolat is a must. It’s a cute place where you can drink a chocolate, eat pralines and buy figures made of chocolate. I bought two chocolate cigars (my kind of cigars 😉 and four pralines and had to pay 2,70 CUC which seemed to be fair. 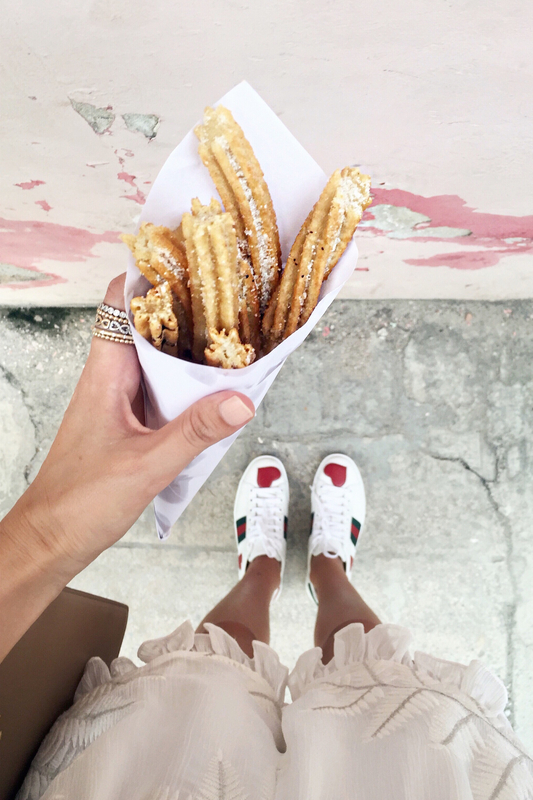 😉 Also there is a Churros shop in front and you get amazing Churros for only 0,50 CUC. 3) Cafe Bohemia: Right at the famous Plaza Vieja we found Cafe Bohemia in a little backyard and directly felt for it. The place reminded us of Mykonos and the food was fresh and modern. I had veggie sandwiches and a fruit plate and we ended up coming back for this fresh fruit and the lovely location. 4) 304 O’Reilly: Even though I’m normally in charge of food hunting (picky vegetarian here ;)), Alex found 304 O’Reilly when checking for good food near our hotel. The bar and restaurant was described as a hipster place which was kind of true. The place had a cool, friendly and surprisingly modern vibe and I had amazing vegetarian tacos, bruschetta and a fresh salad with yummy dressing! The place was small and lively and we loved sitting here, playing cards and enjoying the atmosphere. Such a wonderful travel diary! Looks so fun! Wow, tolle Fotos! 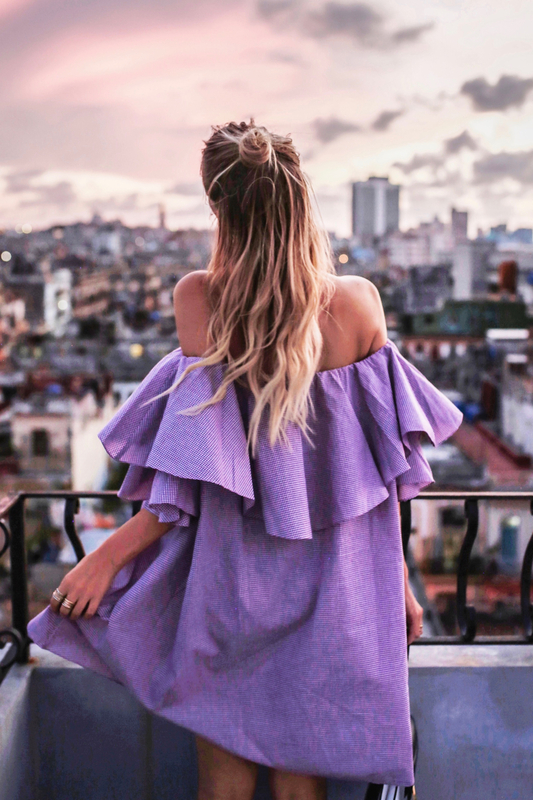 Mein Lieblingsbild ist das in dem lila Off-Shoulder-Kleid. Love your honesty in this post. I imagine traveling here would be a pretty dramatic change of pace compared to Europe or the US. Beautiful photos though! 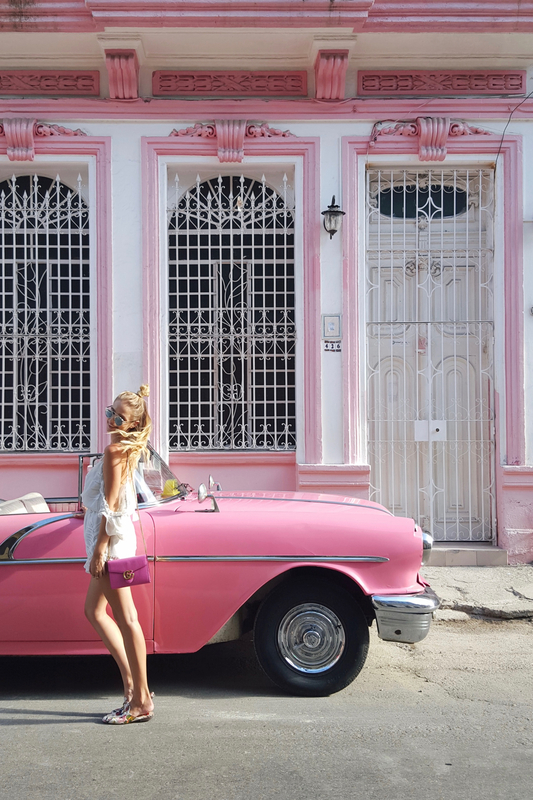 I love all the colors, I want to go just for all the gorgeous photo opportunities! All this photos are simply AMAZING !! I downloded them immediatly!!! Wunderschöne Bilder, einfach der Wahnsinn!! Ganz großes Kompliment, es gibt im Moment keinen Blog den ich so gerne lese und den ich so inspirierend finde wie deinen!! Tolle Bilder und ein super ausführlicher Travelguide, vielen Dank dafür liebe Leonie! Hey thx for your Post. What is about the weather? In September is normally rainy days. Die Bilder sind einfach wunderschön <3 Ich bin total verliebt in die Farben und Gebäude. Aber du hast vollkommen Recht, dass es natürlich alles sehr fotogen wirkt und ist, jedoch die Menschen dort einen völlig anderen Lebensstil leben als wir es gewohnt sind. Schön, dass ihr diese Erfahrung machen konntet! Ich liebe deinen Reisebericht!! Der Text, die Bilder… da bekommt man als “Travel-addict” richtig Fernweh und auch Lust nach Kuba zu reisen. Stehen nach den Fashion Weeks weitere Fernreisen an? Freue mich auf deine kommenden Posts aus London, New York, Mailand und was da noch so kommt. Absolutely amazing post! It makes you buy a ticket & just go! Wow, super schöne und vor allem mega viele Bilder. Kuba sieht aus wie aus einer früheren Welt. Total beeindruckend. 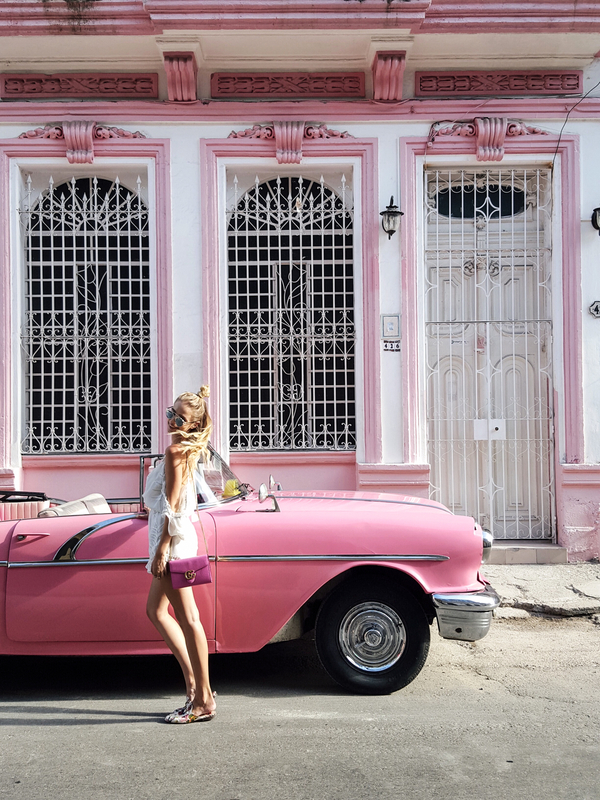 I’d love to visit Cuba! It looks simply beautiful. I just came back from an awesome trip to Miami and Bahamas. 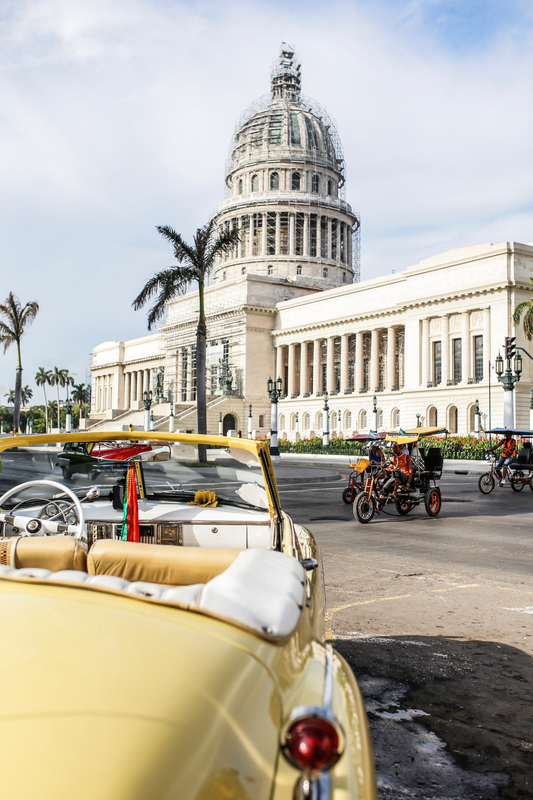 I never dared because I felt it was too complicated to plan a trip to Cuba but your tips really helped. Thanks! Great post and beautiful photos ! 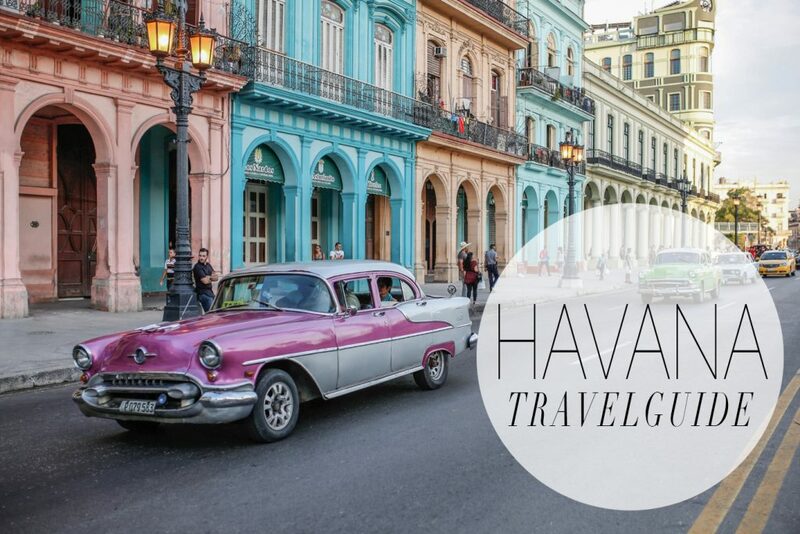 So where did you stay in Central Havana? Der Travelguide ist dir wirklich richtig gut gelungen! Ganz besonders gefällt mir, dass du nicht nur die positiven Dinge erwähnst, sondern auch die negativen Aspekte aufzeigst. 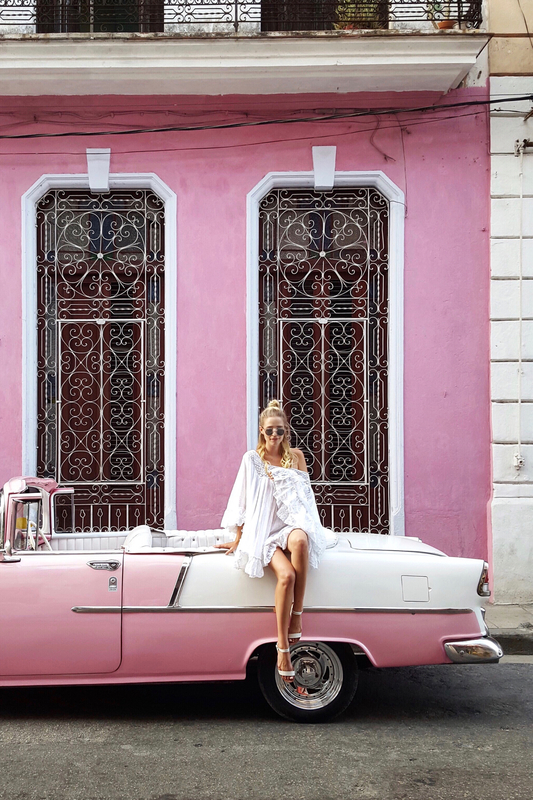 Ich glaube mein Highlight wäre es auch gewesen mit dem pinken Oldtimer durch Havanna zu fahren. Ein Traum! This is such a lovely post! I so loved the dresses!! OMG , I am totally in love with your photos!!! So colourful and in combination with the half broken bulidings and your great outfits!!! Just perfect and incredible! Love your photos so much! Such a beautiful place but a lot of disadvantages ( food, language, currency) omg! Was für ein toller Beitrag liebe Leonie ♥♥ Die Bilder sind atemberaubend schön! Ich war auch schon auf Kuba und war restlos begeisterst. Du hast vollkommen recht, dass Kuba mit keinem anderen Land vergleichbar ist. Aber genau das macht Kuba auch aus. Das wird vermutlich auch nicht mehr so lange bleiben, bis dann wirklich alles aus den USA rübergeschappt ist. Schade, aber dan haben wir wenigstens noch das “echte” Kuba gesehen. Es ist so merkwürdig dieses Reisetagebuch zu lesen, weil deine Erfahrung in Kuba einfach so anders war. Ich war dort im Februar, als es kaum Touristen gab. Das hätte zur Folge gehabt, dass ich niemals in Off-Shoulder Kleidern hätte rumrennen können, weil die Kubaner eben schon sehr aufdringlich werden können. Mit dem Essen hatte ich als ebenfalls Vegetarierin aber auch so meine Probleme. Kein Wunder, wenn das Nationalgericht Pollo con arroz ist. Hast du mal Peso-Pizzen probiert? 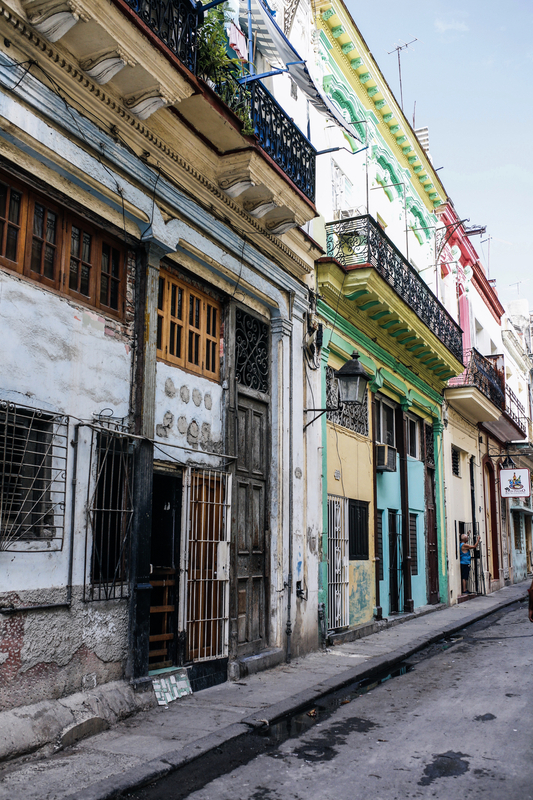 Und warst du in Habana-Vieja in den zahlreichen Ateliers von Street-Art Künstlern? It’s a real pleasure to see such wonderful pictures! And those colours ! Now I really want to visit Hawana one day. Lovely colorful pictures! 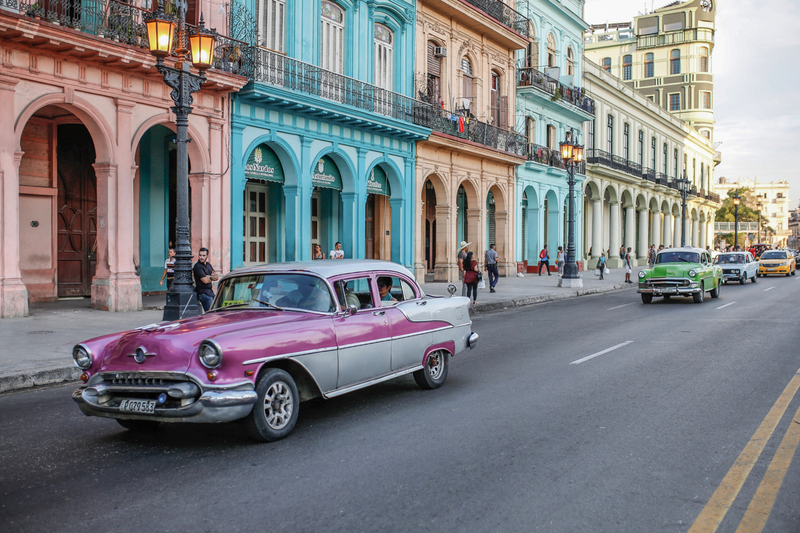 Thank you for your tips for Cuba, a place I’d like to visit! I really enjoy all of your photos and all of your recommendations! Thank you!